The cheapest taxis in Jersey and the largest fleet. Clink on links below to download the free App. ​discover just how easy booking a taxi really can be. With just a few taps on your mobile is all it takes to book your taxi, you no longer need to phone around to price compare as public rank taxis have controlled tariffs that are already the cheapest in the island, so why pay more? You will also be able to track the taxi in real time via built-in GPS mapping giving you an ETA as the driver makes their way to your pick up point and then the app will alert you when your driver arrives. Book safely in the knowledge that all the drivers are fully licensed PSV taxi drivers who have been DBS checked and hold public liability insurance. You will also get to your destination in the most efficient and safest way possible, knowing that you are in the hands of skilled drivers who have gained years and years of experience and local knowledge about the island. THE APP THAT IS OWNED AND RUN BY THE JTDA DRIVERS. 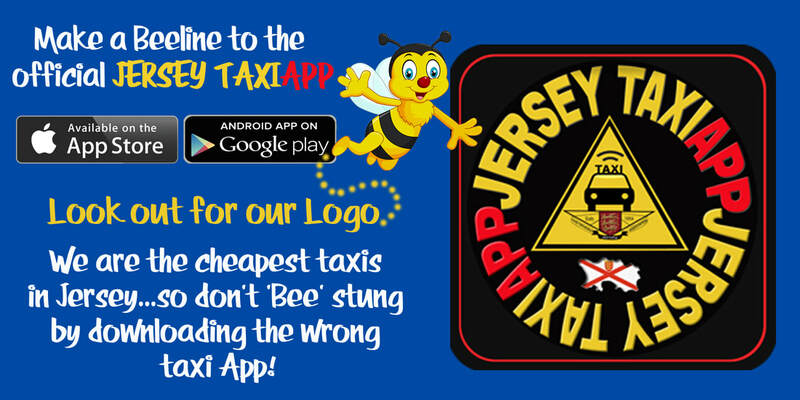 JERSEY TAXIAPP was born out of the need for an app that wasn't beholden to private investors, we did not want to be run by commercial enterprise who saw a return on their investment as the main priority and driving-force over the welfare of the drivers. The dreaded thought that each and everyone of us could literally be sold to the highest bidder at anytime led members of the JTDA on a mission to launch our own taxi app. To reiterate, there is no outside investment, its run purely as a non-profit organisation by JTDA members for the benefit of its drivers and customers, these are real men and woman that have years of experience between them as taxi drivers, a solid workforce who have a thorough understanding on how the taxi cab industry works on the island. JERSEY TAXIAPP hopes to join the fight to regain a loyal customer base by integrating the trades first fully automated taxi app into the working practices of taxi drivers. We also hope to grow the app into biggest and best dispatching taxi service in Jersey. CORPORATE CUSTOMERS AND COMPANY ADMINISTRATORS. Why pay out more to have your cab company run an account when you can let your company credit card do it for you, as all our JERSEY TAXIAPP drivers accept electronic card payment. ​ NOTICE TO ALL LICENSED PSV TAXI CAB DRIVERS. Non JTDA members who are licensed PSV plate holders can now apply to join the JERSEY TAXIAPP Click on the button below to fill out the application form. BY DOWNLOADING THE JERSEY TAXIAPP, YOU AGREE TO BE BOUND BY THE JERSEY TAXIAPP TERMS AND CONDITIONS PLEASE CLICK BUTTON BELOW.